I visited Omaha's Henry Doorly Zoo today after dropping Michael off at the airport. Here are a few of the photos I took. I started with the giraffes. 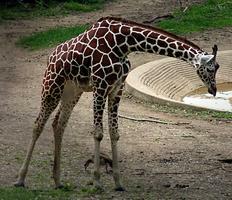 They've built a new platform from which visitors will be able to handfeed the giraffes. The attendants (employees or volunteers, I'm not sure which) were there to impress on visitors that only approved food could be used, not popcorn, licorice, or whatever visitors had brought along. Unfortunately the giraffes haven't yet learned to come up to the platform, and are probably even scared to go near the crowds. No food was on sale yet. I snapped a bunch of photos of the giraffes, but the best I got was this "trick of perspective" one. Next I visited the aquarium. 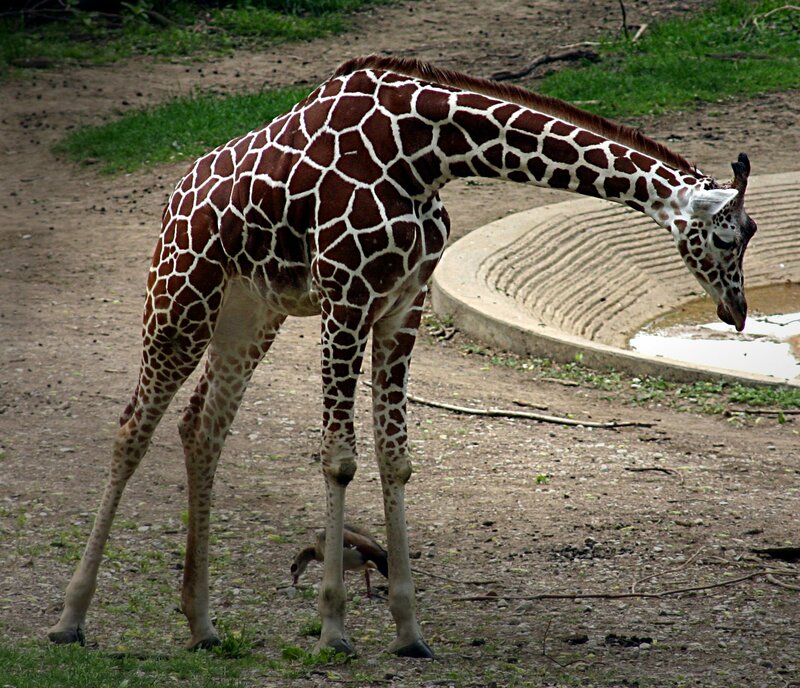 This is one of my favorite parts of the zoo, but I seldom get photos that I like. This time, I got an OK photo of this puffer fish. The neatest part about them (until they puff up, anyway, which they never seem to do at the zoo) is the eyes, which have tiny blue flecks that you can see in the full-size version of this photo. The photo is not the sharpest, but maybe this is forgivable since I was shooting through thick plexiglass into water. 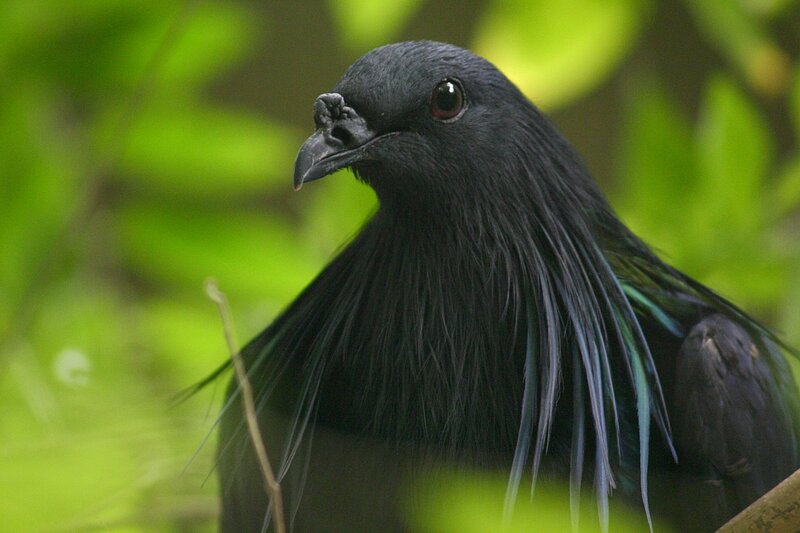 In the jungle my best photo of the day was of this bird, apparently called a Nicobar Pigeon.